Themed sewing project design & construction. Developing their creative muscle in designing their own sewing projects. How to read basic sewing patterns and instructions, when applicable. Breaks for snack about halfway through each 3 hour camp. Almost always completes a project (with the exception of more advanced projects). Is led by competent, experienced instructors who are either in school for fashion/education or professionals in the field of sewing, design or fashion. 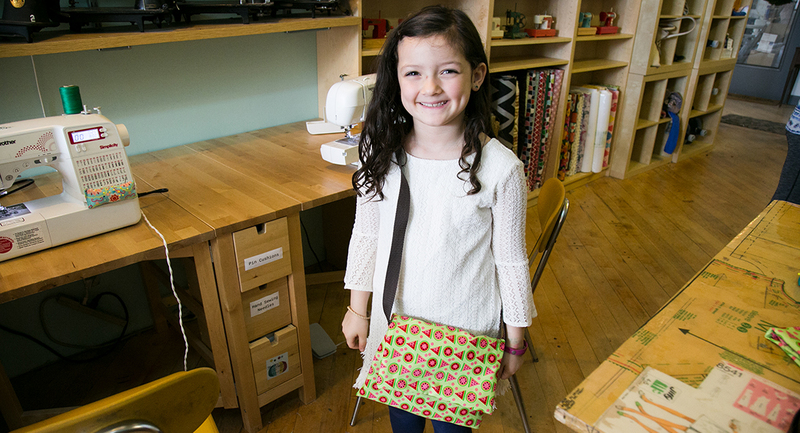 Full day campers will have supervised BYO Lunch time & (non-sewing) Activities from 12-1pm in the studio. 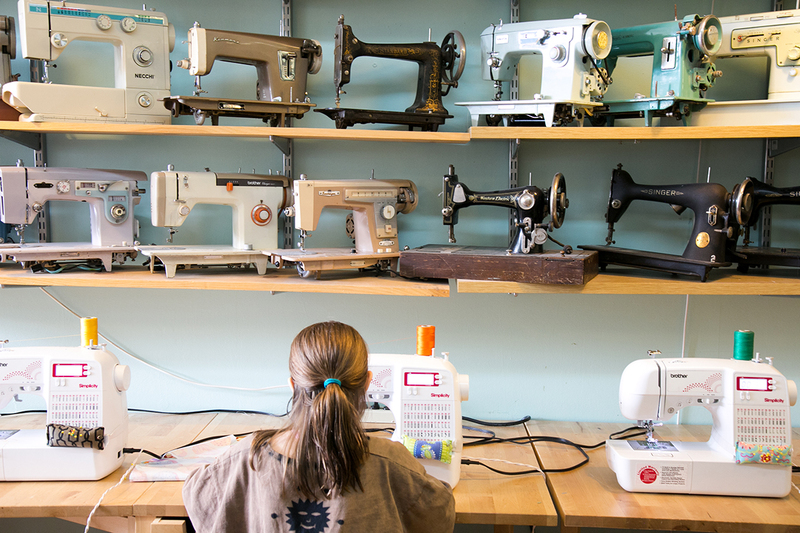 Kids enrolled in the Doll Fashion Designer sewing summer camp will learn how to sew & design AG doll outfits and other adorable items for their beloved 18" dolls and similarly sized stuffed animals. What Kid Isn't Into Unicorns And Rainbows Right Now? That's Why We Have A Whole Week Of Camp Dedicated To Sewing Just Rainbow And Unicorn Projects. Who Doesn't Love Bags? And Hats? And Clothes? During This Weekly Long Summer Camp Theme Your Little Fashion Designer Will Design And Sew Their Own Personalized Fashion Accessories And Clothing. When You're A Kid, Your Bedroom Is Your Sanctuary! It's Definitely Your Favorite Place In The Whole House. This Sewing Camp Theme Will Have Students Creating Things To Decorate Their Own Rooms To Make Them Cozy, Organized And Personal. Projects Will Include Pillows, Decorations And Special Keepsakes That Boys And Girls Of All Ages Will Love! During This Weekly Long Summer Camp Theme Campers Will Design And Sew Their Very Own Toys And Games. Sewing Projects Will Include Board Games, Soft Books, Stuffed Animals Or Basically Anything Kids Can Play With When They're Done. During This Weekly Long Summer Camp Theme Campers Will Design And Sew Their Stuffed Animals. Sewing Camp takes places in our beautiful sewing studio, located in the Monroe Center in Hoboken NJ. Multi Week & Sibling Savings - Use these promo codes when you check out.